Advanced Hair Studio is the premier provider of hair replacement in Australia. We help you avoid the cost of thinning and balding hair by offering a series of hair replacement techniques that address thinning and balding hair in a completely natural way – no obvious extensions, wigs or plugs, just natural looking replacements. Strand-by-Strand®: This hair replacement technique works by replacing your hair that way it falls out – strand by strand. This method of replacement is what sets our technique apart because it looks utterly natural from every angle. Laser Therapy: Our laser therapy goes far beyond the use of laser technology. Our sophisticated laser treatment is combined with hair regrowth medication and a hair and scalp health treatment to address the cause of hair loss and create the scalp conditions you need to regrow your hair. Advanced Hair Fibres: The beauty of our Keratin treatment is that all you have to do is brush it through your hair and you’ll have an instantaneous form of hair replacement. The Keratin bonds instantly to your hair, and forms a strong bond so you can brush it or style it however you like. Advanced Singular Hair Grafting: The most common area of the scalp where a hair replacement is required is the hairline. 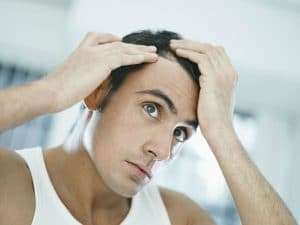 In male pattern baldness, this is where balding commonly starts, so if you’re in the early stages, you’ll be happy to know that our advanced singular hair grafting offers a natural form of hairline replacement. Advanced Laser Therapy: With a 90% success rate, our Advanced Laser Therapy is a great way for women to boost their hair replacement treatments. It works to improve the health of your scalp and promote hair regrowth. Strand-by-Strand®: Our patented hair replacement technique is also perfect for women. Our clients love how natural and looks, and with no surgery, you don’t have to worry about pain or scarring! FlashPoints®: Our reusable hair extensions don’t require any glue, wax or weaving, so you don’t have to worry about damaging any remaining hair. They are also available in a range of textures, colours and styles, so they really are the perfect method on instant hair replacement. Hair and Scalp Fitness Range: Serenoa is the best way to address early stages of hair loss. A hormone called DHT causes follicles to stop growing hair, and Serenoa blocks this hormone and encourages hair regrowth. We combine this treatment with an Advanced Laser Helmet and an AHS-FP Antioxidant for a full at-home hair regrowth treatment to complement your hair replacement.